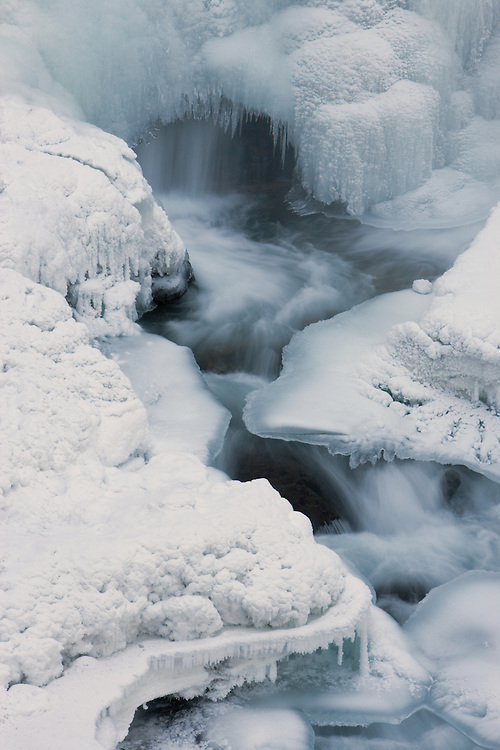 Frozen South Fork Waterfalls in Chugach State Park, Eagle River in Southcentral Alaska. Winter. Afternoon.